His Sword-Guns shoot knives to stab you with. 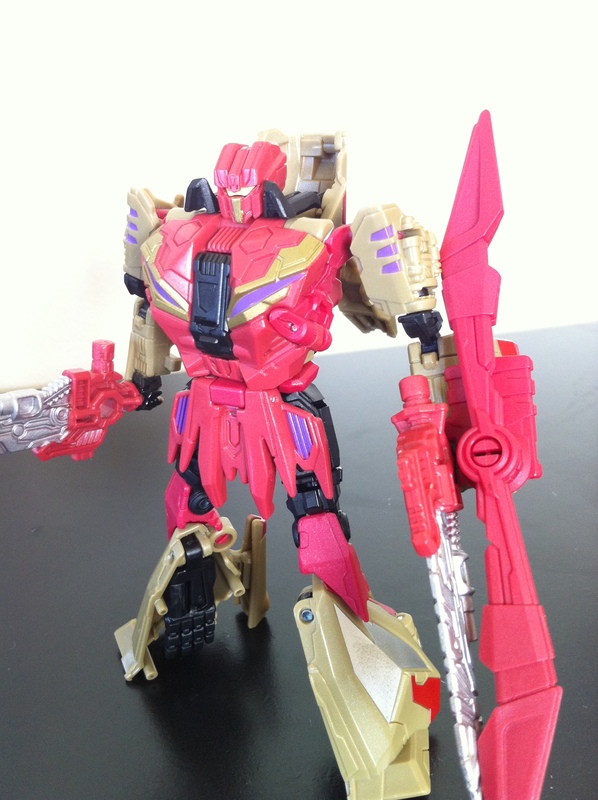 I kinda like that they went with a very “swordy” path for Vortex. 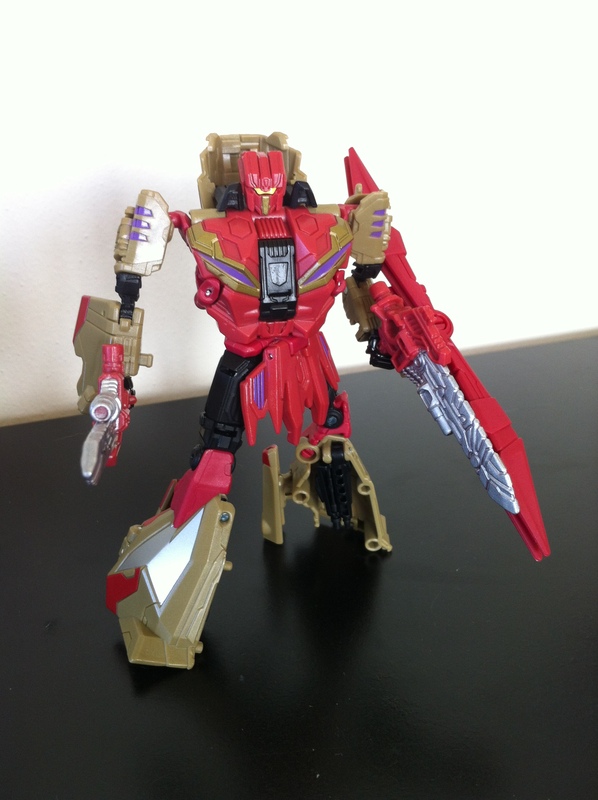 As far as I could tell, he doesn’t really use them in the game, so its a cool distinguishing factor for the toy. 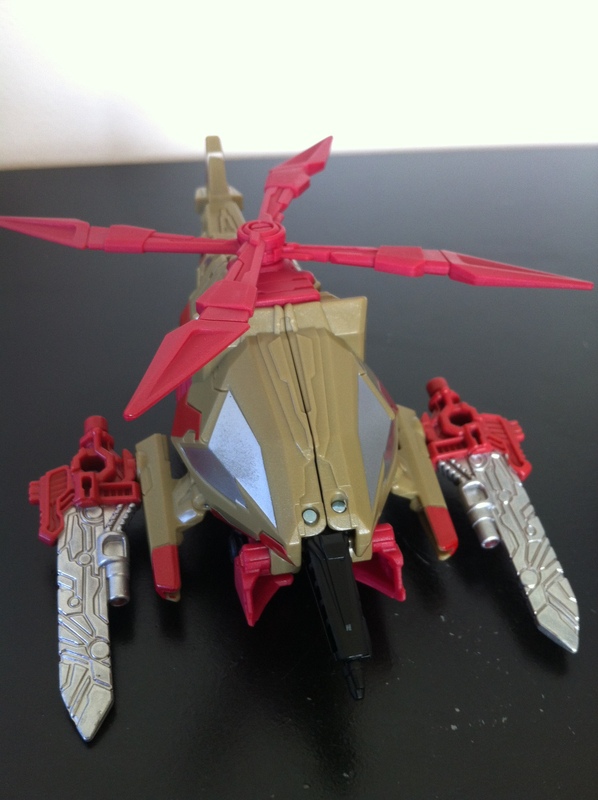 In fact, as many people have pointed out – Vortex’s chopper blades typically store on his back, even the G1 version did that. But this Vortex gets his chopper blades on the forearm. That’s fine, but giving him dual swords is a bit redundant. Luckily, as you can see, they double as guns. But I suspect theyprobably shoot more swords. And again, given that his level is featured in the demo of Fall of Cybertron, I can happily report it is again, game accurate, though you can see mine has a little QC issue with some paint blotches. No big deal though. Plus, YAY! A visor! Also, obviously there’s supposed to be a Decepticon sigil in the chest space, but I guess they left it out. I’m pretty sure the G2 and regular release will have it in place. Now, again, Hasbro tried out their new “folding panels” on the shoulder, and while he has FAR more shoulder articulation than Blast Off, those intake vents on the side of his head render the ball joint its mounted on moot. He can basically look forward and then very very slightly to the left and right. And up. Is that a hand in your leg or are you just happy to see me? So, not the biggest problem, but its part of what has dropped Vortex to No.5 on my ladder. But that’s like saying “butterscotch is my 5th favorite ice cream” its still really good! Nothing too particularly good or bad about it. For some reason I have a lot of fun just spinning those chopper blades. I guess my only issue, aside from the somewhat obvious leg kibble up front, is that I don’t like that the swords store on the side rails. See those tabs at the top of each hilt? I was hopping they would slot in somewhere underneath or something. Its not bad, I just think it looks a little too…well…sword-y…for a helicopter. 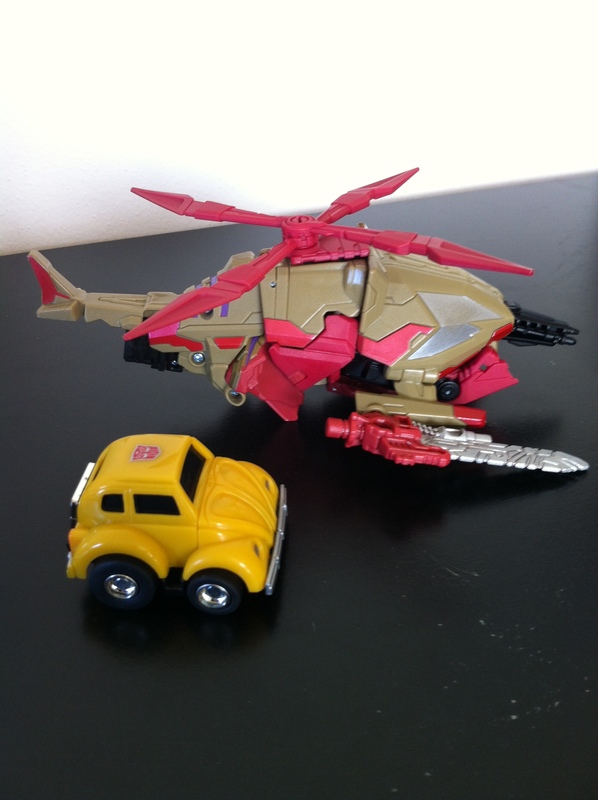 Again, I like robot mode having them but I wish they could store hidden in chopper mode. So yeah, nothing too special about Copter mode, just straight forward and gets the job done. Plus, I like the color better now that I’ve seen him in-game. 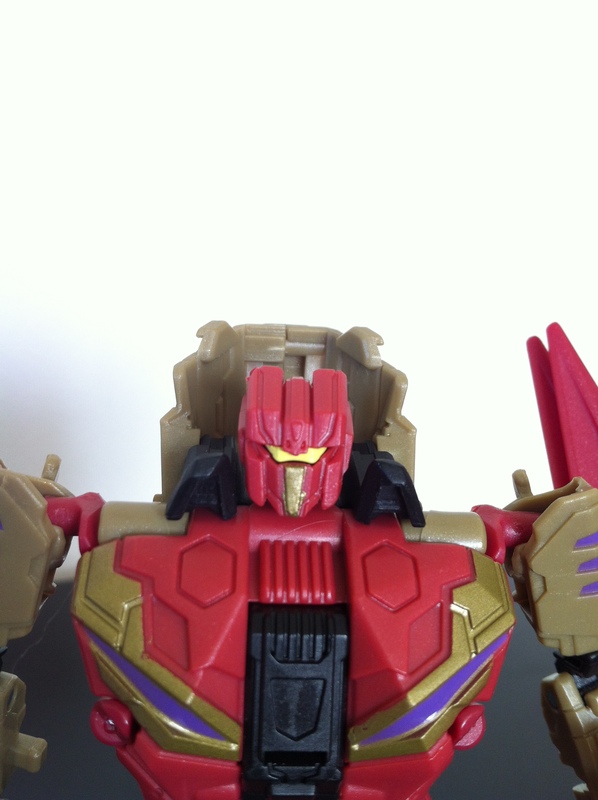 Visually he looks much better than Blast Off’s default look. I do like the “kung fu” hand for some reason. 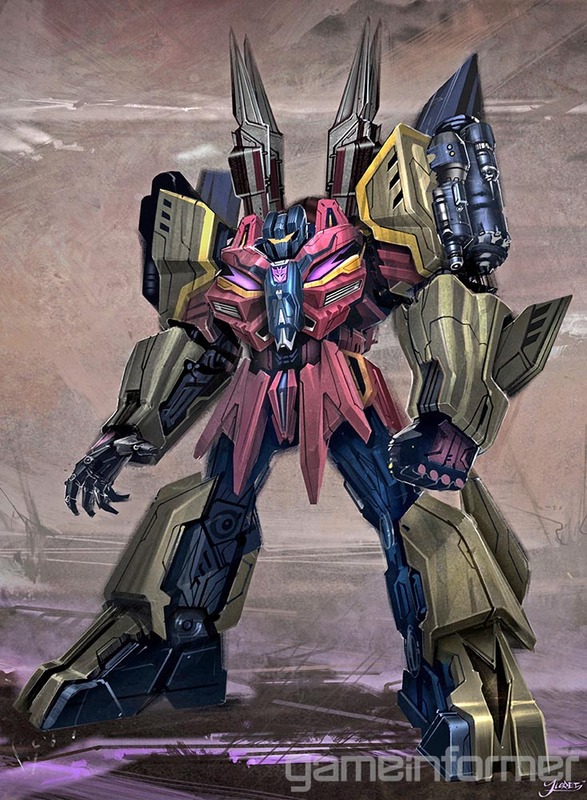 Its not very natural looking but it does remind me of the video clip in the trailer where Bruticus forms and thrusts out his arms when they attach. A bit obscure, but again, I like it. Not sure if it was necessary to make it both a left and right hand via the thumb folding back and forth, but I appreciate the idea of keeping him “scramble-city” style. Yikes..that’s a bright picture. Sorry about that. But I’m too lazy to fix it at this point. You get the idea. So yeah, that’s Vortex. Again, I like him, I really do, but whereas I went into Blast Off thinking I’d be disappointed and was surprised, I went into Vortex expecting more and was underwhelmed. But he’s a Deluxe Generations Combiner so how disappointed can I really be, right? Okay, as a break, next up will be Asia Exclusive (GDO…has anyone figured out what that means??) Cliffjumper. Then Brawl. Woo doggies this is a fun week! Outside of Brawl I think I am most looking forward to Vortex. I’m not fond of the pink/red it does seem to grow on you the more you look at him. BTW, thanks for adding my blog to your blogroll! You got it! I’m always looking to expand my links! 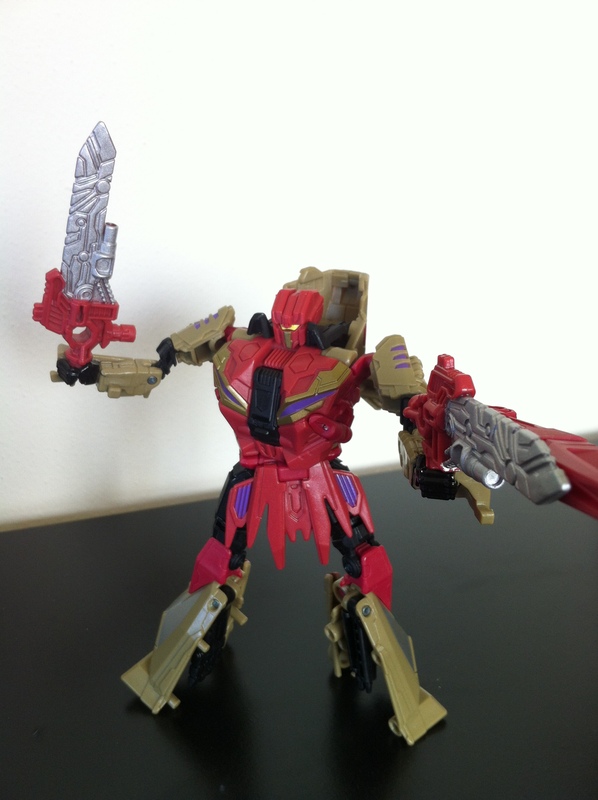 Brawl should be good, he seems close to his WFC design. I’ll be working with him tomorrow, getting him ready for his post. Then I may do Swerve, seems we both want to see him out of package! 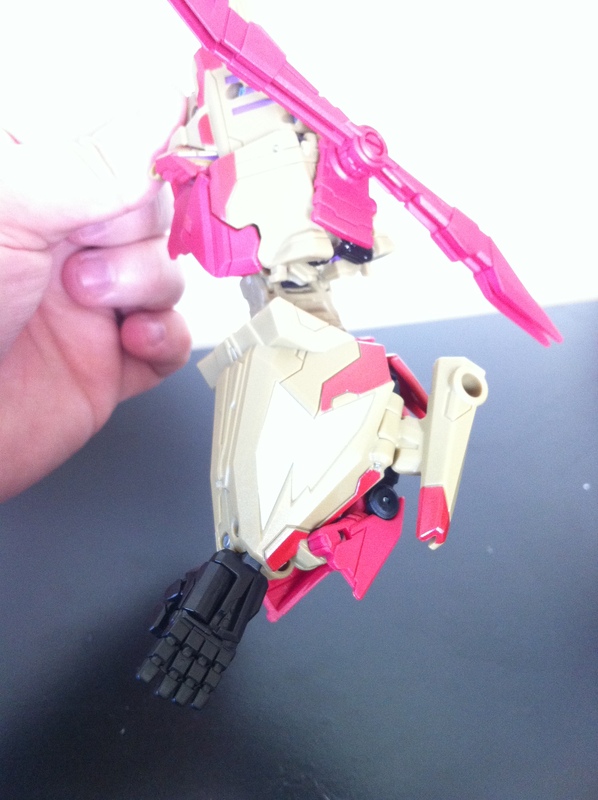 I mistakenly forgot step 13 in Vortex’s transformation to Limb. This makes the arm look much better actually. Yeah, I mean, I tend to compare them more to the old G1 Combiner’s than third party ones because Hasbro won’t have the resources to put all of the 3P bells and whistles into it. So with that in mind, I really do love these guys, and yeah, having normal arms looks so much better! Just tryi it. 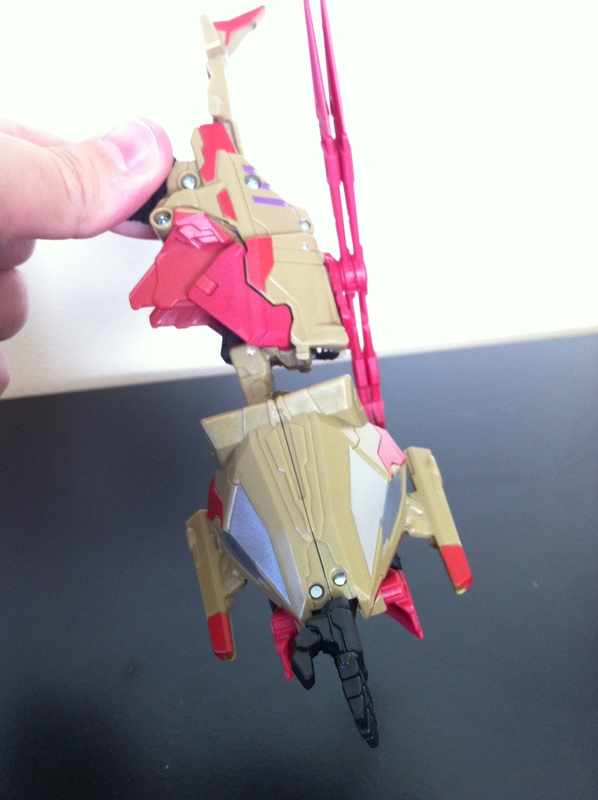 Take your Bruticus, use the modified version of Blast Off as on this site. And for Vortex ommit Step 13. This is generally how I do Bruticus.